We appreciate your interest in us and look forward to earning your business! We deliver quality, value and most importantly service. A GREAT Floor is a family-owned and operated business with our primary focus on Hardwood Floors. Whether you are in the market for a new hardwood floor installation or would like information on the sanding and refinishing of an existing floor, our experienced and knowledgeable professionals are ready to work with you to beautify your home today. We are your hardwood flooring experts, since 1996. No other flooring offers the warmth, beauty, and value of wood. Wood flooring enhances the décor of any room, and provides timeless beauty that will increase in value throughout the years. 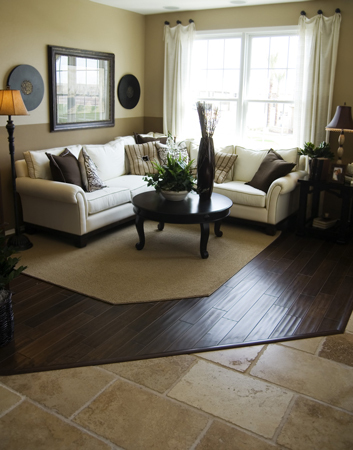 Let our team customize and install a new wood floor for your home. We can also refinish those old, worn-out floors to restore the warmth and charm of your home! Call us today to schedule your free in-home estimate.